With the big day of love just around the corner, you might already be thinking about Valentines Day ideas. Of course, you probably want to do something special with your significant other, and romantic meals are most likely at or near the top of your list. Romantic meals can be enjoyed at any time of day, but I’d venture to assume that Valentines Day dinners are the most popular. You might not realize it, but enjoying good food is a sensual pleasure, and it can definitely “open the door” to intimacy, so to speak. It’s also a way to show your thoughtfulness, whether you make and serve the Valentines Day dinner yourself or make reservations at a nice restaurant. Personally, I usually prefer creating my own Valentine’s Day dinner – most restaurants are packed to capacity that night. If you feel the same way, you might enjoy these Valentine dinner ideas. Set the right mood for your Valentine's Day dinner. A romantic dinner for two is one of the best Valentines Day ideas of all! If you’re serving your Valentine’s Day dinner at home, be sure to set the right mood. You want to appeal to all five senses, so keep in mind sight, smell, taste, hearing, and feel. To address the sense of sight, create low lighting with candles, and make your table attractive with flowers and your best china. Make sure the house smells good, too. The sense of smell can be powerful! A psychologist once told me that the scent of bread, cookies, or cakes baking makes most humans feel more cozy and domestic. If your Valentines Day dinner ideas don’t include any baking, you can always use scented candles that mimic the aroma of cookies. I recommend Yankee Candle. The sense of hearing should be satisfied with some romantic music playing in the background. For many people, music can be very moving. Just remember to keep the volume low – you want to have some conversation over your Valentines Day dinner, so don’t let the music be loud enough to make talking difficult. 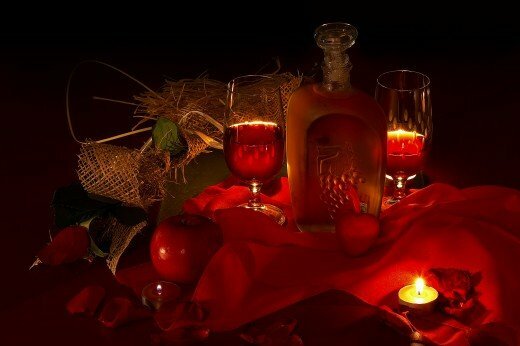 Taste, of course, will come from your Valentine’s Day dinner menu, and it can provide tempting aromas, also. The sense of touch and feeling usually comes after romantic dinners, but including the right textures in your Valentine’s Day dinner menu can help, too. Dining under the stars can make for some very romantic meals. Okay, so where are you going to serve your Valentine’s Day dinner? Of course, the obvious place is in the dining room, but you might want to think outside the box. Do have a hot tub? If the weather is nice, you could always enjoy the meal on the deck or patio. Even better, what about a picnic under the stars? Drive out into the country, to an isolated spot. In the absence of city lights, stars are much brighter and more visible. Be sure to take along a blanket! Other Valentines Day dinner ideas: Who says you can’t have dinner in bed? If it works for breakfast, why not for a Valentine’s Day dinner? If you go this route, an easy meal of hors d’oeuvres and finger foods would be great. Or – have dinner in the dining room or on the deck, then serve dessert in the bedroom. Many romantic meals start with wine. Your Valentine’s Day dinner menu should include dishes you know your significant other really enjoys, but you want it to be something special. Even if he or she loves ham sandwiches, you don’t want to serve them for a romantic dinner for two. You also don’t want to serve foods that give you or your lover heartburn or indigestion. Also, think about the portion sizes. Being too full does not lead to after-dinner bedroom aerobics! Start your Valentines Day dinner menu with a glass of wine and a small appetizer. This might be a shrimp cocktail, fresh fruit, crab salad, or a bowl of smooth, velvety soup. A small cheese tray with fruit and nuts is another good idea. Also, I just have to mention oysters here. For centuries, the aphrodisiac properties of oysters have been touted, and even though most scientists scoff at the idea, sometimes it’s the idea that counts. Get it? If you’re significant other thinks the oysters are an aphrodisiac, they just might serve as one. After all, the sexiest organ in the human body is the brain. Broiled oysters don’t take long to prepare. An oyster dish we like as an appetizer is crab-topped oysters. To make these, shuck the oysters and leave then on the half shell. Drizzle a little melted garlic butter over the oysters, and top them with crabmeat and grated parmesan. Slip them under the broiler for a few minutes, and you have a great appetizer for your Valentine’s Day dinner. For the main course, the meal can be simple but still be elegant. And by “simple,” I mean easy to prepare – not necessarily inexpensive. Your Valentine’s Day dinner menu might include entrees like grilled beef filets, crab-stuffed chicken breasts, pan-seared shrimp or scallops, pork medallions, prime rib, wine-marinated chicken, or broiled fish. If you want to go all out, lobster is a delicious choice. Another item I like to serve with a romantic dinner for two is Cornish hen. Each bird is the right size for an individual serving. Serve a green veggie with the entrée, along with a small serving of bread. If you’re going to add a dessert, you might want to leave off any additional starches with the entrée. Serve a scrumptious dessert following your Valentines Day dinner, or save it for later, after…well, you know! Dessert and coffee would be a great way to end a perfect evening, another romantic dinner idea. If your romantic dinner for two is going to be a picnic, choose a beautiful venue. There’s no law that says romantic meals have to be served at night. What about a romantic meal at lunch? If both you and your lover work, maybe you could plan a rendezvous at a local park for a picnic on your lunch break. You could have everything ready to go, including a bottle of non-alcoholic sparkling grape juice. Be sure to take along some music to accompany your meal. 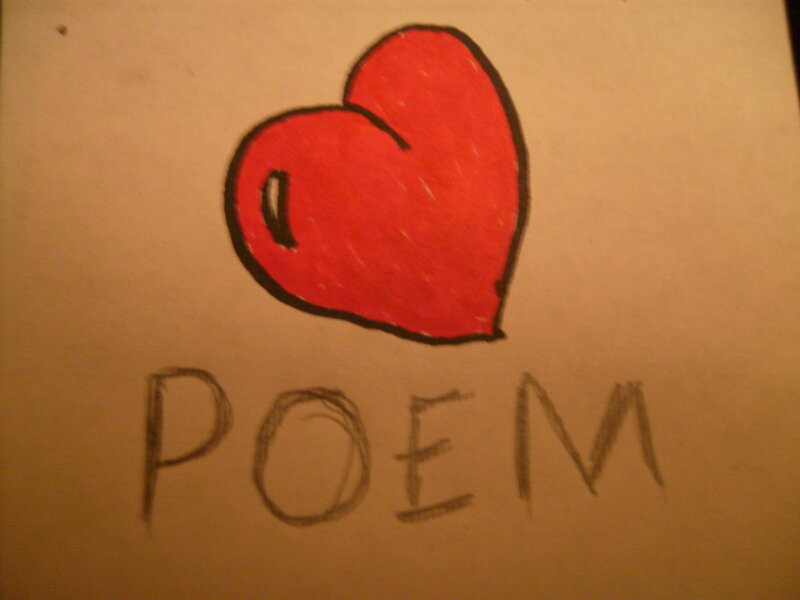 If you’re so inclined, you might want to have a book of romantic poems with you, too. If the big event falls on a day when you and your lover are both off from work, you can take your romantic dinner for two to the next level. 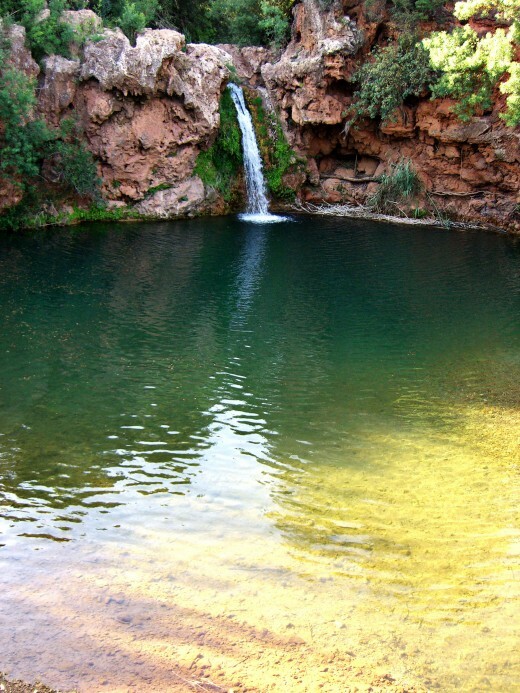 Find a beautiful spot for a picnic that’s within an hour or so drive, and make a day trip out of your meal. Good Valentine’s Day ideas for picnics are lakes, forests, the beach, or on the banks of a secluded stream. Romantic meals can even be enjoyed as breakfasts. In fact, with most men, testosterone levels are highest then, so Valentine’s Day ideas can get a start first thing in the morning. What about breakfast in bed? 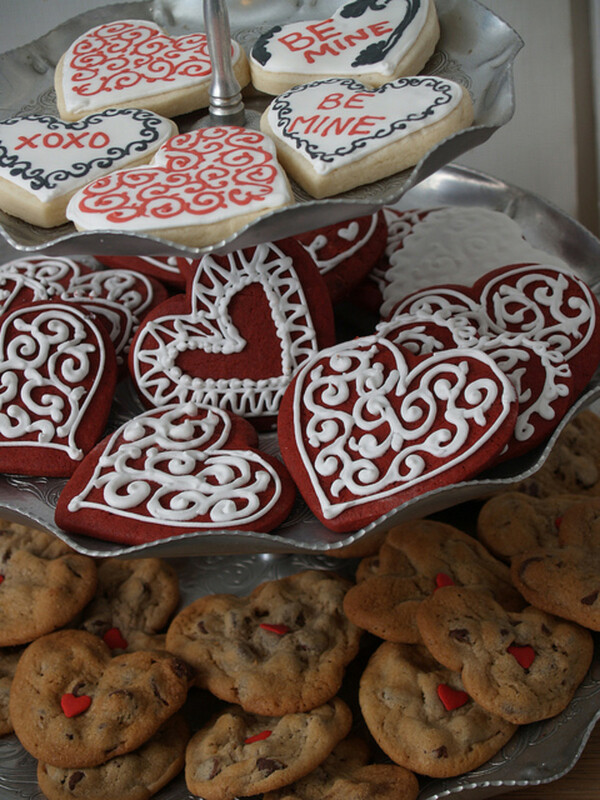 Make it even more special with heart-shaped pancakes or heart-shaped muffins. You can find molds and muffin pans just for this purpose. If your Valentines Day dinner is going to be at a restaurant, try to get a corner booth or table. Lots of folks choose to have their Valentine’s Day dinners at restaurants. If you choose to do this, make your reservations far in advance. If you’re not familiar with the particular restaurant, scope it out first. 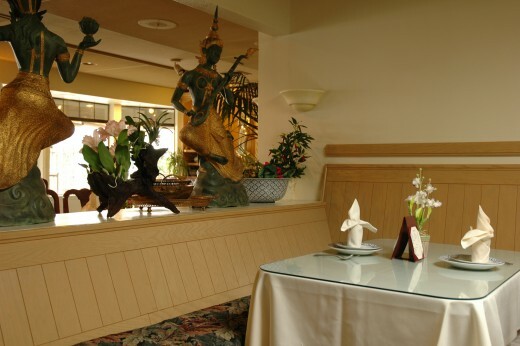 Choose a specific table for your romantic dinner for two, and ask a waiter for the table number. You might want to choose a table that has a great outside view, one near a fireplace, or one that offers at least a little privacy. You might also want to surprise your lover with flowers, candy, or a gift. You might be able to arrange the surprise with your wait staff in advance, so that the item can be delivered right to your table. Valentine’s Day ideas can be as unique as you want them to be, limited only by your imagination. They don’t even have to expensive, for as they say, it’s the thought that counts. I think this is especially true of Valentine’s Day. The most precious card I ever received from my husband was one that he made himself. Why not mix things up a bit this year, and surprise your valentine with the unexpected? I like to keep my hubby on his toes! I never want him to think I’m too predictable. Treat your significant other to a special Valentine’s Day dinner next February, and tell him or her that you’re dessert! 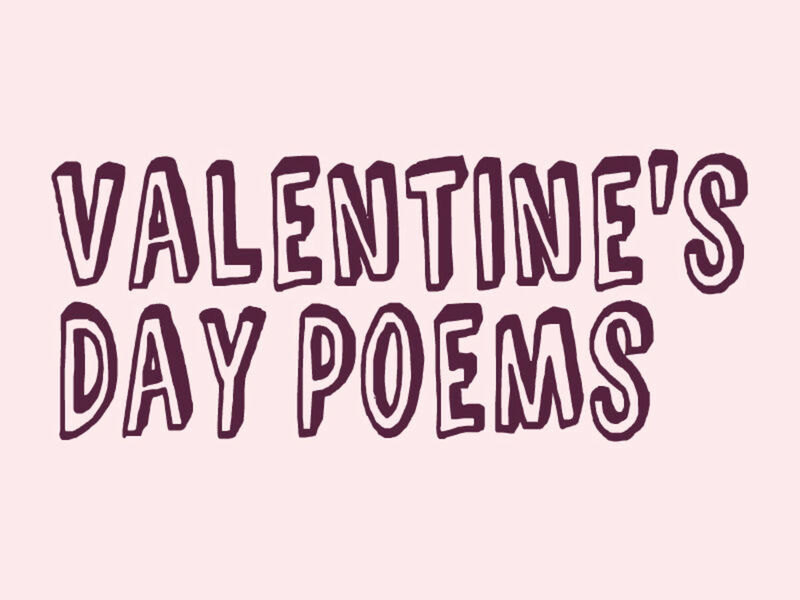 Seriously, I hope I’ve provided some Valentine’s Day ideas here for you to at least consider. Buy discount women's perfumes and colognes. Popular fragrances are described. Great suggestions for romantic gifts! Gift basket ideas for Valentine's Day gift baskets. Videos about how to make a gift basket are included. Discount gift baskets for sale. urmila, sounds like you already have some great Valentines Day ideas! Great ideas! All the menu looks great! Too bad i am a vegetarian. I will go for a picnic and have sparkling apple cider & finger foods. Useful and voted up. Then he escorted me into the kitchen!! !